Tournaments are no stranger to professional wrestling and the independent scene has some notable ones: PWG Battle of Los Angeles (BOLA), ECWA Super 8, APW/PWR King of Indies. 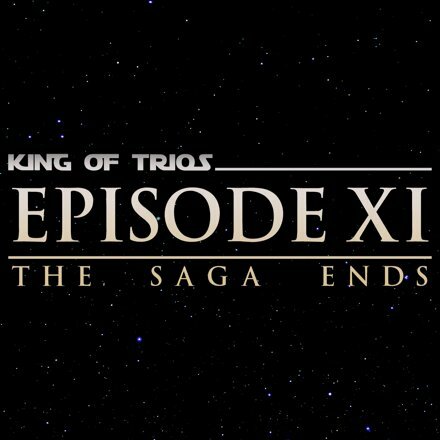 But arguably the most notable among these is King of Trios, the biggest event for one of the most dominant independent wrestling companies in the United States in Chikara. Attracting some of the finest wrestlers from across the planet including countries like Japan, Mexico, Canada, Australia, and the United Kingdom, it’s a showcase of veterans (from companies like WWE, TNA Impact, and Ring of Honor) and future stars like A.J. Styles, Daniel Bryan, and the Young Bucks (the Jacksons having competed in four KOT tournaments). Just last year alone, WWE United Kingdom Champion Pete Dunne, inaugural WWE United Kingdom Champion Tyler Bate (and current NXT Tag Team Champion), and Mae Young Classic competitor Meiko Satomura were among the tournament entrants with Dunne, Bate, and fellow British Strong Style member and current NXT Tag Team Champion Trent Seven taking home the title (competitors are not separated by gender). In 2017, the three-night event took place in Wolverhampton, England but this coming August 31st, September 1st and 2nd, it comes home to the Palmer Center/Funplex in Easton, PA. Lets take a look at some of the sixteen teams competing.